Our moving professionals in North Carolina are at your service and waiting for your call! We have prepared a free moving estimate for our clients, so feel free to check out our official website and get one! 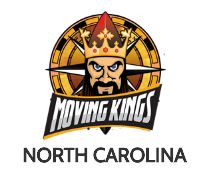 Moving Kings NC and its moving professionals in North Carolina are ready to help you relocate quickly and efficiently. All you have to do is to give us a call, and our moving specialists will take it from there!